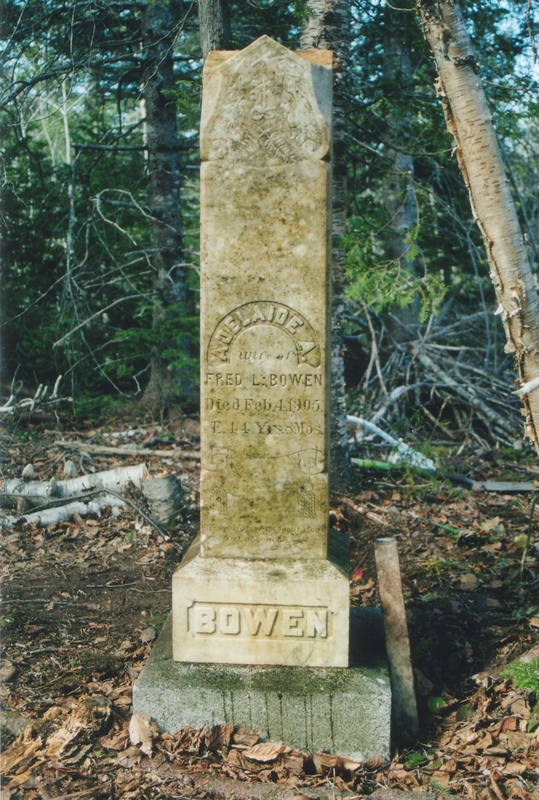 This entry was posted in 52Ancestors, Bowen, Cemetery, Stanhope and tagged 52Ancestors, family history, genealogy by dave. Bookmark the permalink. Mother and daughter died on the same day? How awful. yeah very tragic. You can almost see how devastating is was by looking at the monument he had made for her grave. Most of the other stones in the cemetery (which is in the middle of the woods) are small and flat. Addy’s is a real “memorial”, and probably quite expensive for a poor farmer.